SUMMARY: Like many organizations, while PR Newswire was intensely focused on helping other organizations achieve their goals, it was challenged to achieve those same goals. 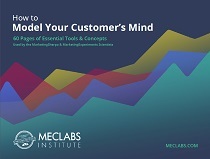 Last year it started a campaign to orchestrate content within every marketing channel to accelerate the unique buying cycles of more than 25,000 prospects and customers across the globe. Today, it has achieved higher engagement, revenues and customer satisfaction than ever before. More than 60 years ago PR Newswire pioneered the commercial news-distribution industry. Today, the organization does much more than that. It provides end-to-end solutions to produce, optimize and target content — from rich media to online video to multimedia — then distributes, monitors and measures it across digital, mobile and social channels. Prospects and clients have more control over their buying process because content is so easily accessible. PR Newswire needed to move away from product-focused marketing and instead address the issues its prospects and clients cared about most. "What they're looking for is advice and solutions to their problems," Ken Wincko, Senior Vice President of Marketing, PR Newswire, said. "We wanted to focus on their needs [instead of] just sending out product-specific information. We know that does not resonate with buyers anymore." Providing content that uniquely resonates with each and every buyer in a marketplace of more than 25,000. "We have a huge footprint … a huge group of people to interact with on a regular basis, and you just can't do it manually, you can't do it through people," he explained. "So one of the things we really wanted to do was create a digital program to allow us to interact with them through our content, keep them up to date on the best practices and trends 24/7/365 across the globe and across all 25,000 customers." "We were using two or three channels," Wincko said. "We'd do some events, we'd do some webinars and we would send out emails. We would do some press releases and we would do some social, but it wasn't coordinated and it wasn't integrated." PR Newswire serves professionals worldwide in marketing, communications, investor relations and related roles from offices in the Americas, Europe, Middle East, Africa and the Asia-Pacific region. 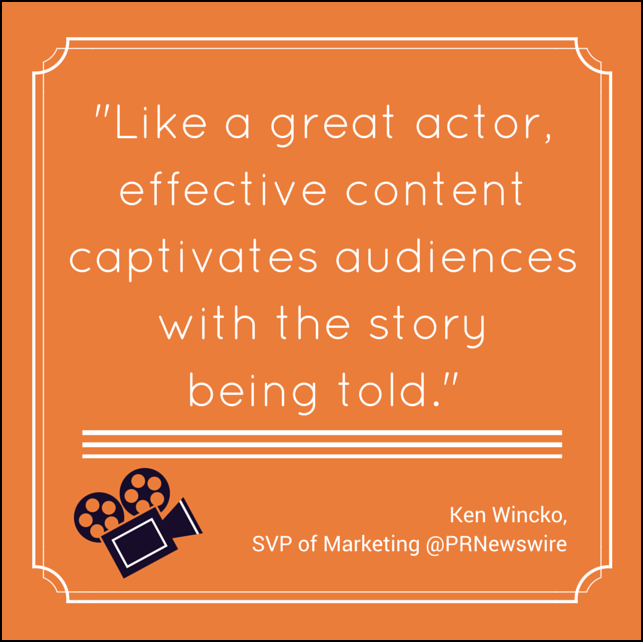 These clients count on PR Newswire's multimedia platforms to help them engage audiences with content across every marketing channel. "We've continued to evolve to meet the changing needs of our clients in helping them share the stories that drive their success and growth," Wincko said. This required extensive change from how things were done before. "My biggest job right now is [changing] management within the marketing team, across sales, across products, across services and making sure that we are aligned with this whole new approach," Wincko said. That's why Wincko enlisted the help of an outside partner. "We wanted to partner with an external vendor who could really enact that change and who had the expertise to help us achieve our goals," he said. "The latter part of that research not only focused on segments and then roles, but what the buying path looks like for each of these personas," Wincko said. He added that the process became very granular from the first interaction through the life-cycle approach to every touchpoint. The team began to ask themselves what type of information those buyers were looking for along the entire buying path. "You really need to get beyond your own walls and ask, 'What do [our buyers] really want and need?' and then deliver it," he said. The team answered the question of what specific buyers want and need by mapping content to their buying paths. "We did the research. We knew what kind of information those prospects and customers are looking for. We built a content architecture that mapped the content flow across each segment and persona," Wincko said. The time commitment to actually build this content has to be considered, he added. "It's a lot of hard work, but you have to match the right content to the right stage of the buying cycle, which means you're getting very granular and getting more personalized in your approach," he said. The team's coordinated strategy is facilitated by a cross-channel content calendar. Wincko's team applies data and analytics to determine which content offers to present based on buying stages. They use content conversion rates, keyword performance, web analytics and more to strategize and prioritize. Below is an example of a content offer that's inserted into a PR Newswire blog post. This addresses two audiences: people in the very early stages of the buying cycle who may be exploring a certain topic and the customer community who is already a PR Newswire advocate. PR Newswire applied data and analytics to make that happen, and partnered with another organization to clean up and augment its database. "We really had very poor data," Wincko said. "We had a lot of duplicate and inaccurate data. We needed to augment our database with the right decision makers and influencers at the right organizations." The team also applied marketing automation to their existing content-management technology, which had been manual. "All of our marketing technologies needed to be working in concert together like an orchestra. You have your strings, you have your percussion, you have your horns and the conductor is making sure all these pieces are working together," he said. "Our partner worked with us to make sure all of our technology was working together to create the optimal buying experience." The team also built a lead-to-revenue framework: how they routed leads based on interaction with content. "So, when leads are qualified, we pinpointed the right time for contact by sales or services personnel based on the signals our buyers were giving us," Wincko said. 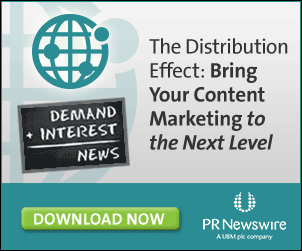 PR Newswire distributed content via a combination of earned, paid and owned media. "What is the right time, right place to display the content and interact with these buyers in a consistent, compelling way?" Wincko asked. "If you look at our inbound side, there are earned channels like public relations, social channels like Twitter and LinkedIn and our own press release distribution network. We also were using pay channels like Google Display Network, search engine marketing, pay per click, events, webinars, outbound emails and all of those types of things. And then we bring (buyers) in through our earned properties so we have our own website, and our own app." "We made sure our team was structured (so) we had members who were focused on each stage of the buying process," he said. "We would not be successful if we didn't continuously make sure we are aligned and have full support across the entire organization; from the CIO to the head of product to the head of sales to the head of services, all of us have to be aligned with this approach to be consistent in the way we're messaging our buyers." "In some cases, we're seeing certain pieces of content work at different stages than we thought even based on our research," Wincko said. "But that isn't surprising because you want buyers to dictate what content they want to consume and validate that in the marketplace." "Through the data we're getting, we see opportunity to optimize how and where we're routing leads. So, when we route leads, who do we route them to based on performance?" Wincko said. "Who's converting best? Do we need to be treating some of these people differently based on the interactions that we're seeing?" "There's a whole universe of people out there who haven't come up to us who we're trying to reach, so [we're] really looking at ways we can identify their buying signals to interact with them with new content," he said. Wincko said this is an ongoing campaign, because of the consistency necessary for it to work. "Campaigns shouldn't be done in silos; they shouldn't be interrupted and there shouldn't be a start and a stop," he said. "They should be a continuous narrative that engages buyers and influencers and other key stakeholders all of the time. We assess our efforts on a continuous basis to evaluable performance — which is focused on pipeline contribution, revenue and ROI." Kevin Wincko, Senior Vice President of Marketing, PR Newswire, will be speaking on this campaign at MarketingSherpa Summit 2016, held February 22-24 in Las Vegas. Keep reading MarketingSherpa newsletters to see case studies from other Summit speakers.